Holland’s youngst opera singer, the 10-year-old Amira Willighagen from Nijmegen, who won Holland’s Got Talent last year at the age of only 9, and has performed in the US, Latin-America, South-Africa and various European countries, will shine on November 19th during a fundraising concert in Lelystad, the Netherlands. Since a couple of days AmiraFans also started using Twitter. We do this to be able to keep you better up to speed regarding news about, and from Amira. In March this year we already reported about Amira opening her first playground in the South-African township Ikageng, near the city of Potchefstroom. Next steps are being made to continue this project. Soon, Amira’s very own charity foundation will be established, from where further activities in the field of charity can be developed. Earlier Amira already indicated that she wants to use part of the revenue earned with CD sales and performances for helping other children. With the establishment of her own foundation, it will be easier to develop activities and to coordinate the implementation. Amira could this year be spotted at the Golden Television Ring Gala -which is the yearly event where the winners of the Dutch TV-audience’s Awards for TV-shows and -personalities are announced. This time, Amira did not perform, but she did get an invitation to witness the whole event which took place in the Carré Theatre in Amsterdam. 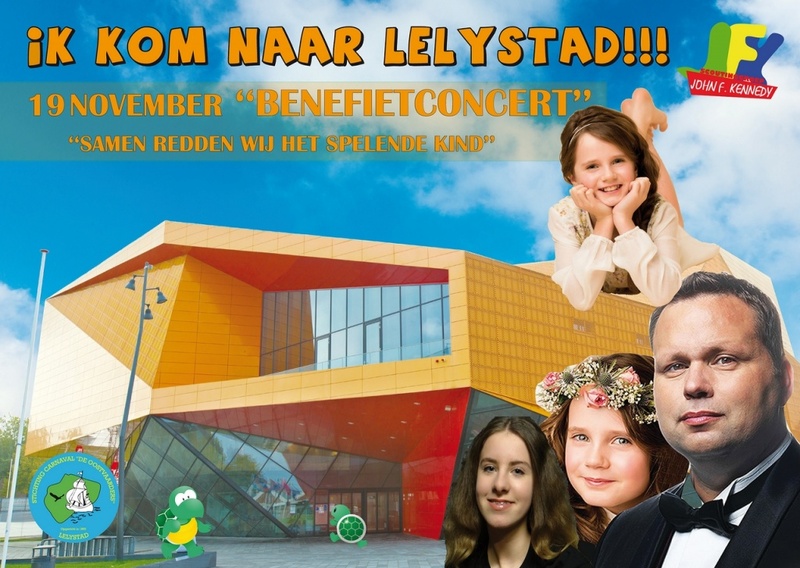 November 19th: Amira and Paul Potts in Lelystad!